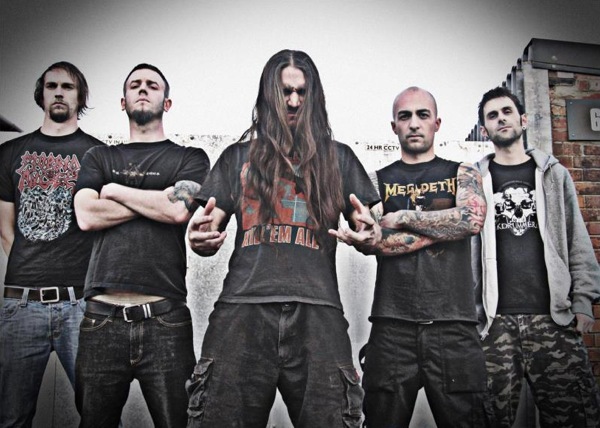 Taunton UK-based thrash/death metal band Flayed Disciple formed in 2008, and released their debut full-length album ‘Death Hammer’ last May via Grindscene Records. Having performed through UK and parts of Europe during their short career so far, they will be stepping into unchartered territory for the first time ever, as they are confirmed to embark on a tour of India, including the Indian Metal Festival in Bangalore on December 15th, to be headlined by Gojira. Tickets can be purchased at IndianStage.in. Just an hour ago, I caught up with lead guitarist Thurston Howe to discuss this India tour, the debut album, local UK gigs and more. Read our conversation and check out the brutal music videos for the songs ‘The Westboro Massacre’ & ‘The Shrine Of Dahmer’ below. Also visit the band’s official website, facebook and twitter pages for more info. The Indian Metal Festival gig will obviously be your first trip to India. What was your reaction when you were first invited to be part of this thing? It was a bit of a shock, really. I wasn’t expecting us to be going so far afield at such an early stage. We’ve only been around Europe and places like that, and we thought the next step would be the United States probably, or something like that. But to actually go all the way to India, none of us have ever been to that side of the world, it’s a pretty awesome thing to be asked to do. Have you had any experiences of performing with Gojira or any of the other bands on the IMF lineup? Yeah, we’ve actually played with most of the bands on the lineup except Gojira. It’s quite surprising because when it was first announced, it was Cerebral Bore and Bloodshot Dawn, and we were invited on it. It was a bit of a coincidence that we’re all quite good friends. We’ve toured with Cerebral Bore once and we know them pretty well, and we’ve done quite a few tours with Bloodshot Dawn. There’s loads of bands that could have been invited, you know, but for it to be us three is quite a coincidence. Obviously Cerebral Bore aren’t on the lineup anymore, which is a bit of shame, but we’ve also played with Xerath and the other UK bands before. They are all quite familiar bands to us. In terms of your musical style, in your opinion how different is it for Gojira? In other words, will a Gojira fan be able to appreciate your music when he or she sees you at this show? Well, Gojira are quite a heavy band and they have a very different style. We’re lot more old-school, I suppose. You can really tell our influences through in our music. Gojira are really a different kettle of fish, but they’re still heavy, you know, with heavy vocals, big heavy guitars and big drums. I’m pretty damn sure if you like Gojira you’d like anything heavy. You’ve never been to India before, but are you familiar at all with the Indian metal scene or the kind of shows that happen here, or are you pretty much a total stranger to it? Yeah, we have no idea what it’s going to be like! We’ve watched a few videos on YouTube of different bands playing in India, and we’ve asked Xerath. They’ve been there before. We’ve asked a few bands what it’s like, and it sounds mental. We can’t wait to get over there. But beforehand, we had no idea, and I still don’t have that much of an idea, really. I’m just guessing that it will be mental. I’m sure it will be! So, what’s your schedule going to be like? Are you just doing this one-off gig and going back home? No, we’ve got four shows and then the festival, I think. I’m not entirely sure where they are yet. We haven’t been told exactly the dates or venues, but we’ve got four shows around the south of India somewhere, and then ending with the festival. Are the other shows going to be headlined by you? I’m not sure, I think so. Either that, or we’ll split-headline with the other band we’re touring with. Again, I don’t really know what’s going down to be honest, but it should be exciting. That’s interesting. I hope it all gets announced soon, because there’s less than a month to go now. Yeah, that’s what we keep thinking (laughs), but they keep saying it’s alright and this is the way it goes over in India, and it’ll all be fine. So I hope that’s the case, you know. Yeah, they do announce shows pretty late here. It’s normal, so I’m sure it will be OK. But, other than UK and Europe, have you been to any other parts of the world at all, even for personal vacations? To be honest, I’ve been to most places in the world at some point. I’ve been over towards India before. I’ve gone to Oman and Dubai throughout my life. I’m familiar with the area, but just not India itself. 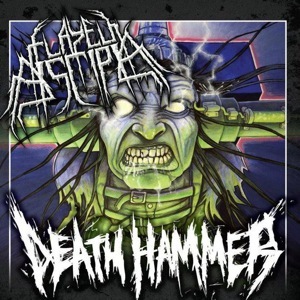 Talking of your music, your debut full-length ‘Death Hammer’ was released this year. What’s the response been like in the UK and Europe among fans and press? Oh, it’s been great. People have loved it. I don’t think we’ve had a bad review yet. Well, there might be one or two, but we don’t really see them. Everything has been great. Most people who do a bad review are either arseholes or they don’t really appreciate the kind of style that we do. When it comes to you booking shows or promoters themselves approaching you for shows, do things like album sales and album reviews still matter? Yeah, definitely! As soon as we released the album, we got a lot more show offers and things like that. Releasing an album means a lot in that sense, yeah definitely. What else have you been up to this year? I believe you played Bloodstock for the second time. Yeah, we got invited back this time, and hopefully we’ll be playing there again. It’s probably the best festival to play in England amongst the true heavy metal fans. Donington is turning into a bit more of a dance festival as well. You’ve got everything going on there. It will still be obviously great to play there, but to get the real heavy kind of music that we like, Bloodstock is the place to be. I’ve never been there, but I just keep track of all the festival lineups and stuff like that. 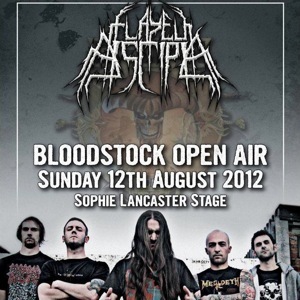 You’re right, Bloodstock is the best true metal fest in the UK. In Germany you have Wacken, but in the UK the only other big festival you have is Download, which is more of a multi-genre thing. Yeah, Download’s getting worse and worse now, isn’t it? I never know who to expect, and I think they’re running out of headliners. There’s only a certain amount of times you can have Iron Maiden and AC/DC as headliners at the festival! I don’t know what they’ll do after Iron Maiden retire! Yeah, that’s what we say. Once Iron Maiden, Metallica and AC/DC are gone, who knows what bands are going to bloody headline that place. No one’s going to fill their boots, can they? So, your band was founded in 2008, and your debut full-length has come out this year. Have you been gradually working on these songs for the past years, or is it more of a recent thing? Well, about three of the songs are old ones that we revived just to try and get a bit more out there, because obviously releasing a proper album under a label is going out to a lot more people. It takes quite a long time to write a song. They’re quite intricate, and the more we write, the more intricate they get, and the longer they take to write. So we kind of wrote seven or eight songs within a year, and that was hard work for us. It’s a hard thing to write that style of music, so we thought we should bump up the album and let more people hear what we’ve been doing over the years. So we put those three extra songs from past EPs on there. Talking of the UK scene, metal fans looking at the UK and Europe from the outside, like myself, are very much familiar with the whole festival circuit. But what’s the local UK scene like? Do you get to play your own shows often? The scene in the UK doesn’t seem to be as good as everywhere else these days. I don’t want to be too rude about it, but it’s not exciting anymore, you know. But yeah, we do a lot of headline shows and supporting shows. I think people in the metal scene in England are getting a bit lazy. If you go to Europe or anywhere outside of England, people seem to love it a lot more. People in England are a little bit more snobby about their music these days, and it’s not as good or as exciting as it used to be. I always think of the UK as the home of classic metal. Any legendary band you name is from the UK. But currently, is the UK also being swept by the whole deathcore or modern metal movement? Is it the same as everywhere else these days? Yeah! It’s the same in India, is it? Well, it’s kind of different because very few bands have played here, so people are excited about old-school bands, and there’s place for both the old and new school. I think in the UK there’s a hell of a lot of the deathcore crap going on at the minute, but there’s a hell of a lot of other bands trying to get rid of that too. It’s not going to last, I don’t think, but that’s one of the main reasons the scene isn’t so great over here. There’s bands out there who are more worried about their haircuts rather than what riffs they are playing, and how many chicks they get, and things like that. Thrash and death metal is totally opposite to that. That’s the way I see it. That’s true. Another thing I noticed in your bio is, you’re based out of Taunton. Are you still living there? Yeah, we’re all still living here at the moment. Two of us live a bit further away outside of Taunton, but three founding members of the band still live in Taunton. It’s quite a good place to live. It’s right on the motorway. You can get straight on it and go anywhere you need to in the country. It’s not a bad base to have. That’s what I was going to ask you. Taunton is not a big city as compared to some of the other places in England. So I was wondering if that affects you in a negative way at all. It doesn’t, because UK is quite a small country, so as long as you’re not too remote and as long as you can get to a motorway quickly, you’re doing alright. All the cities are within a few hours of us. If you’re going out to Scotland, you can’t really do weeknight shows because of work. So if you want to go further afield, you have to wait till the weekend, and that’s not a big problem.